It`s Monday again and you know what that means. It`s time for another edition of MMO Monday! I had hoped to have a nice amount of things to post about today, however my in game time this week was cut to the bare minimum. On top of that my regular raid night was switched to tonight so there`s sadly not much to talk about. Tonight we will be burning our way through the new operation. If we finish in good time we will be popping over to Karagga`s Palace and do a quick Nightmare mode run of that place as well. 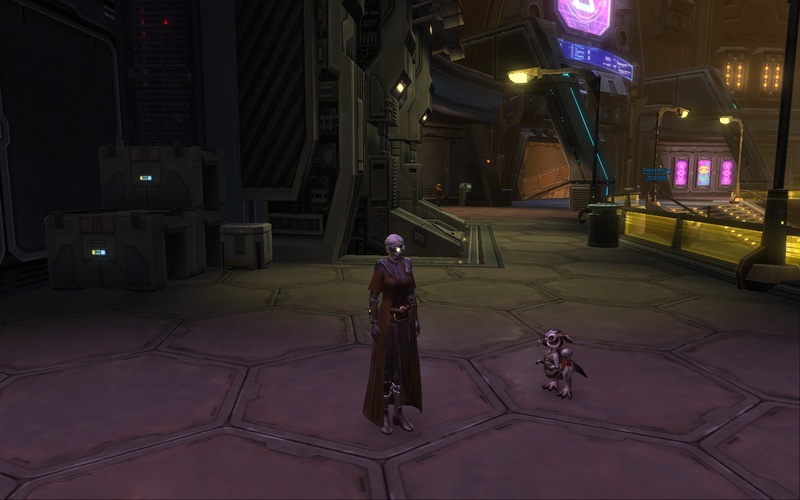 I`m hoping the final boss droids the vanity pet, since it would make an excellent addition to my growing collection. Speaking of which, this week brought in the legacy pet Tauntaun Ram. Which was awarded to any player with an active account as of specific date in April. Look at the little adorable guy! Here`s hoping that next week I will have more to talk about. This entry was posted in Gaming, Life, Writing and tagged Gaming, MMO, SW:TOR, Writing by lifeinanotebook. Bookmark the permalink.